L to R: Rendering of Lindley; Recent photo of topped out construction by Field Condition. 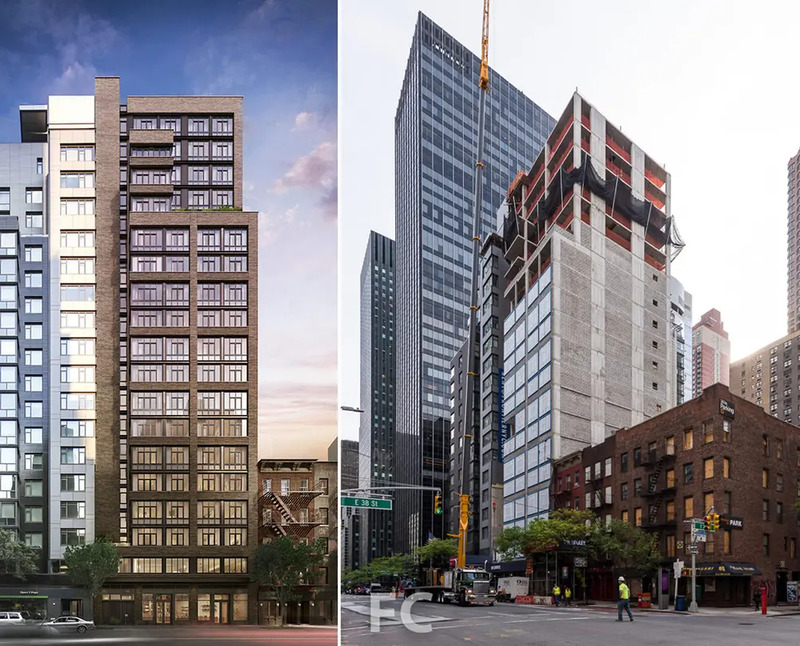 Construction has topped off on a new 20-story, full-service condominium on Manhattan’s east side. Named The Lindley, the 74-unit building will bring a rare product to an area known for its tall rental and office buildings. Photoblogger FieldCondition captures some recent shots of the project's milestone on his trip up the tower to take in the stellar views. 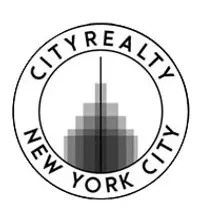 Lindley is positioned at the crossroads of Murray Hill and Midtown East and rises from a narrow lot at 591 Third Avenue, near East 39th Street. 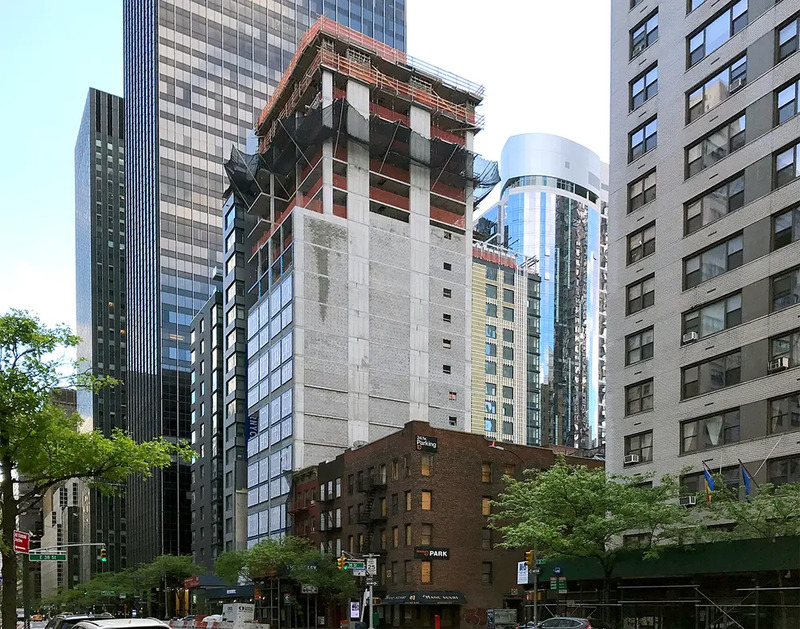 CBSK Ironstate, the developer triad consisting of SK Development, Ironstate Development and CB Developers, has successfully finished the Frontier rental tower next door; they are now constructing another tower around the corner at 210 East 39th Street. 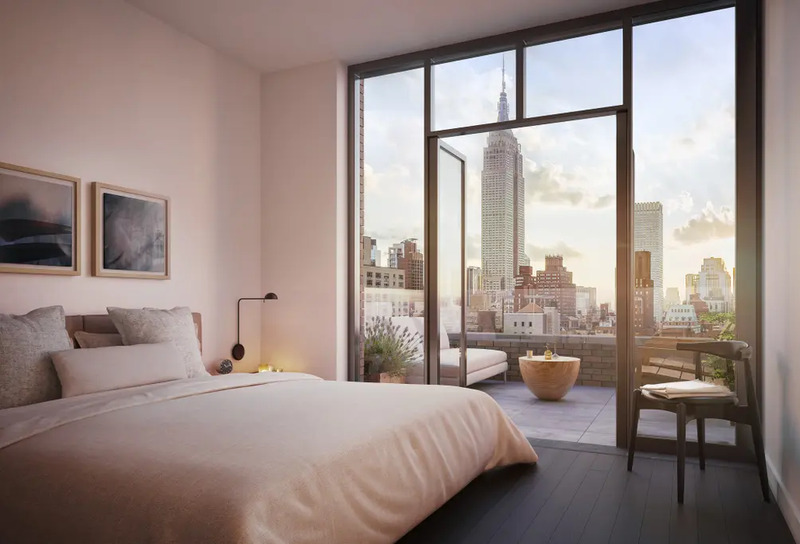 According to renderings from the building’s designer, Rawling Architects, the structure will be adorned in Roman brick, oversized casement windows and will have some balconies. Lindley’s apartments will range from studios to three-bedrooms with sales expected to begin later this year. 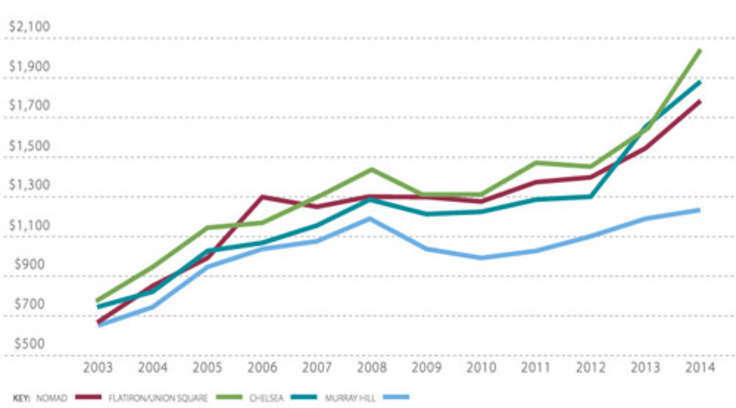 Prices will begin around $900K and all will qualify for a 421-a tax abatement. Amenities will include 24/7 concierge service, resident lounge, fitness center, and a rooftop garden with grilling and dining. 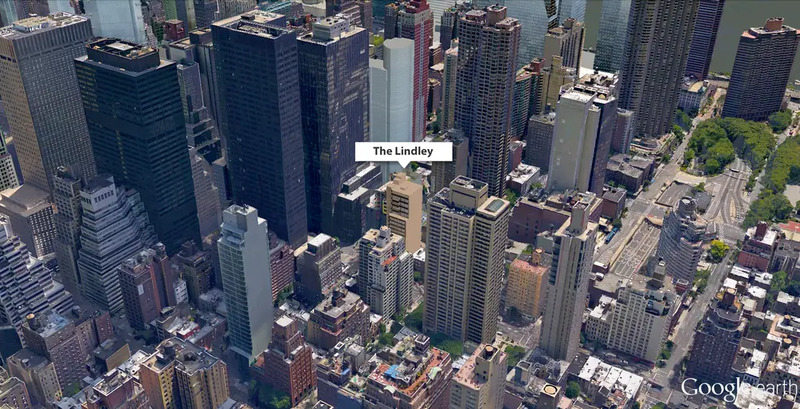 While not a skyscraper by any means, Lindley’s 210-foot height will afford upper-level apartments gracious views of the skyline. As can be seen in FieldCondition’s stellar images, both the Empire State Building and One World Trade Center make picturesque appearances in the views.See all of Field Condition's photos here.